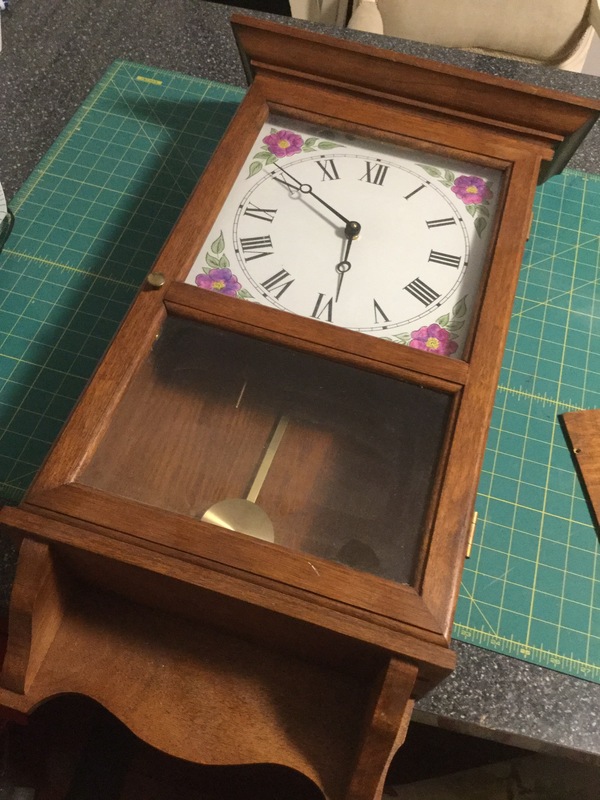 Grampy’s clock… | ARTZCOOL'S BLOG! So many projects lately, just too tired to write about them! 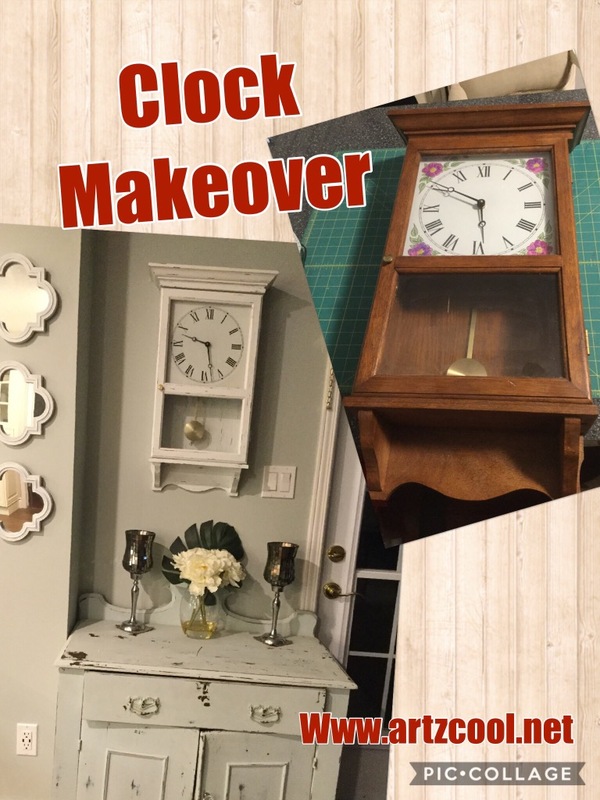 But I’m going to try… now that our renovation is so so close to being done, I will share lots of pics of our transformation! 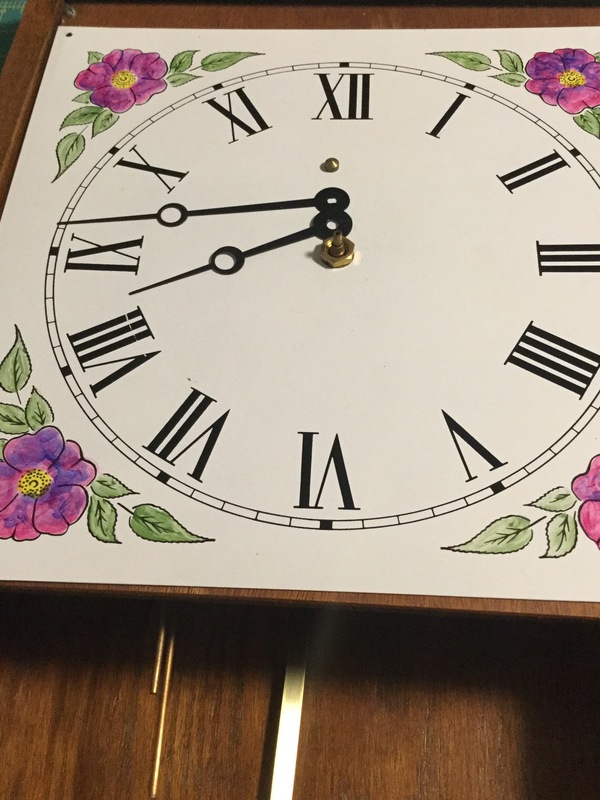 So, this is what Grampy’s clock looked like. After being moved from closet to closet and house to house, it was in a few pieces. 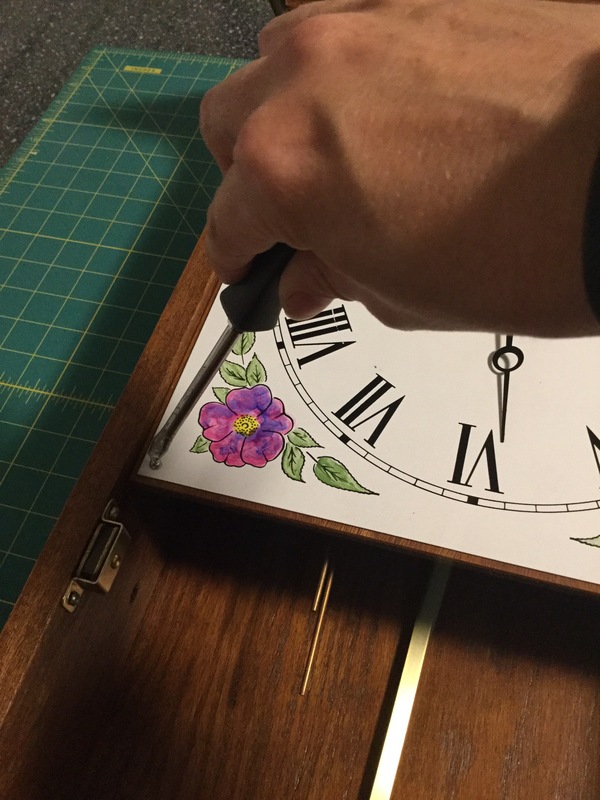 Then I took off the clock hands carefully. And unscrewed another nut that held the faceplate on. Here’s a tip. 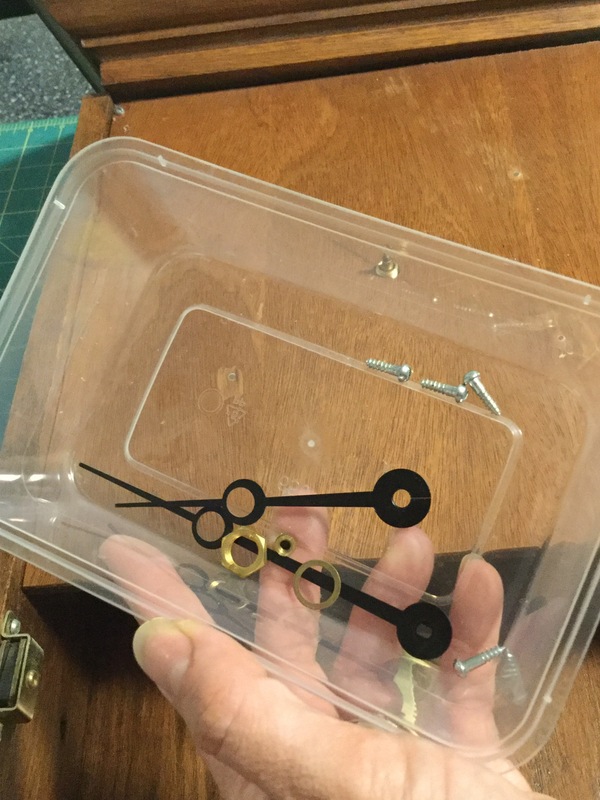 Get a Tupperware container for screws and pieces. 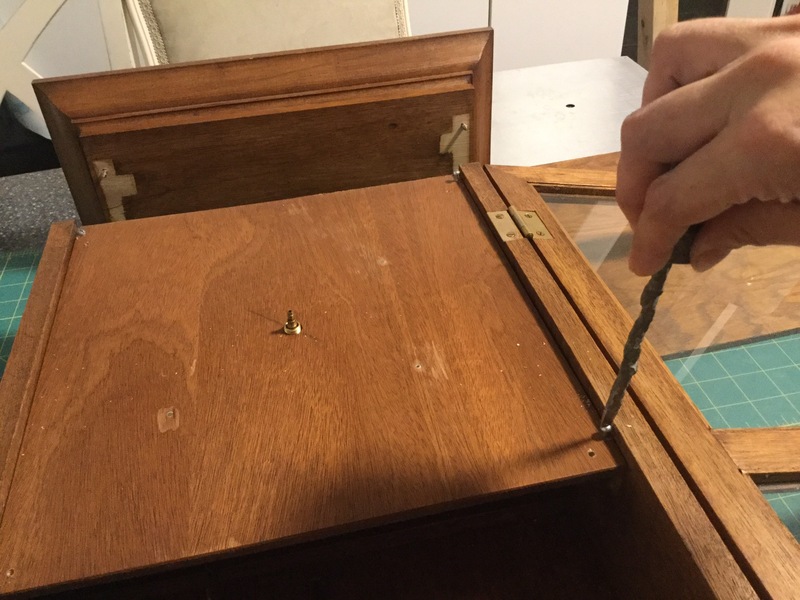 After renovating we have so many screws left over that I am sure we will never figure out where they go… but as I am working on projects like this, I always toss all of the bits and pieces into a container so I don’t misplace them… it makes putting it back together a whole lot easier. 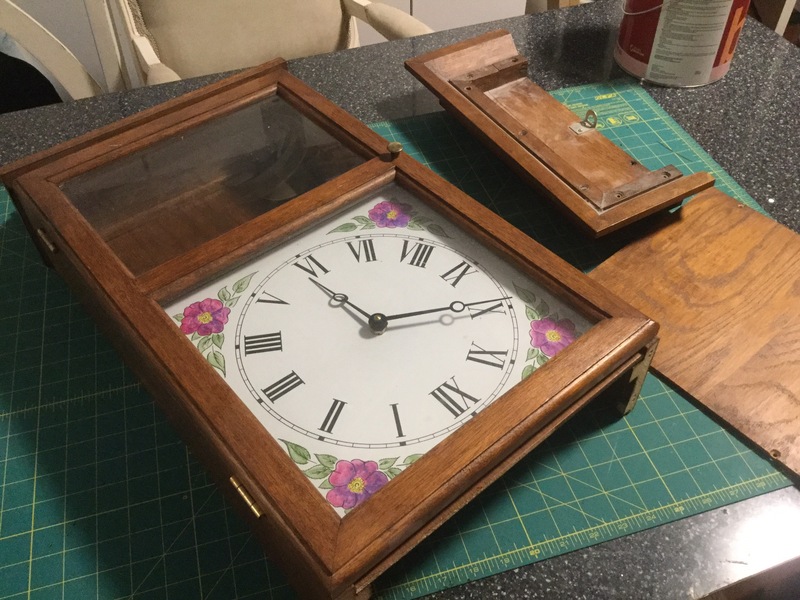 Once I took the face of the clock off, there were four more screws to take off. I thought it would be easier to paint if I could access the back and front. 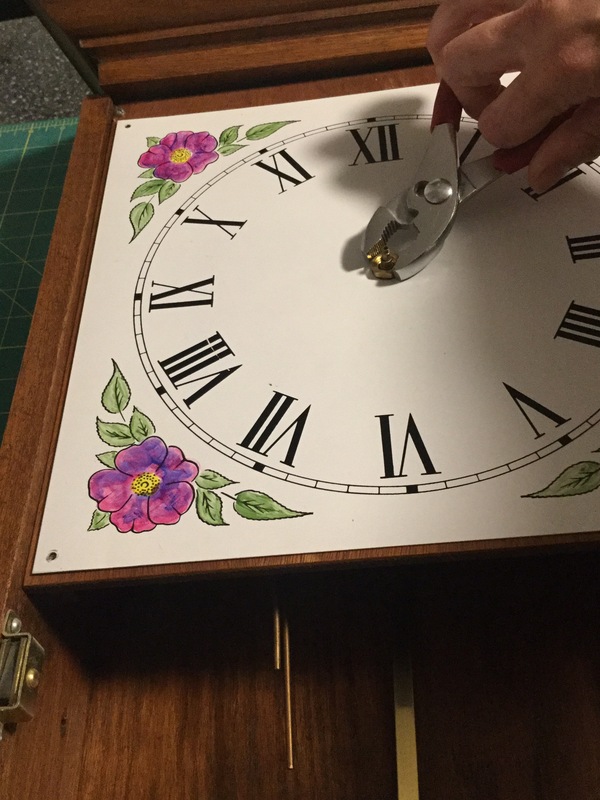 The clock movements were attached to the back of this board. 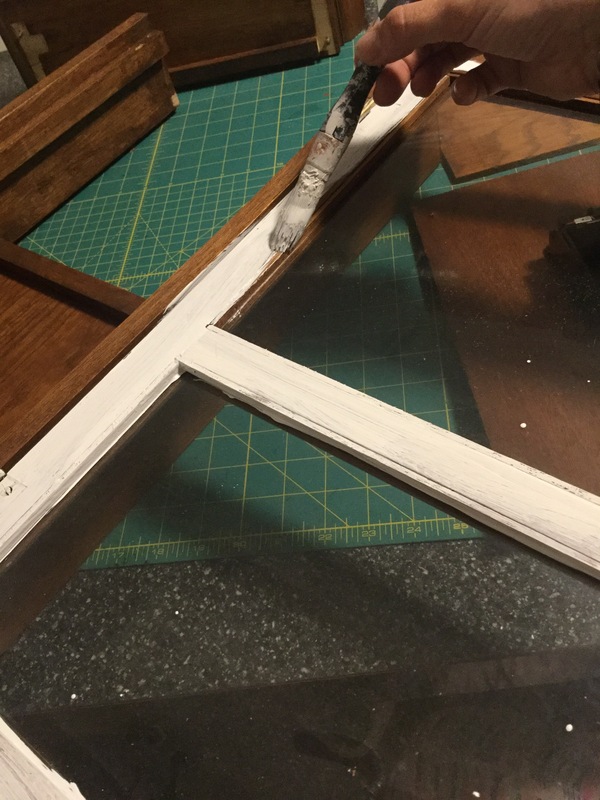 Once I had everything apart, it was time to start painting. 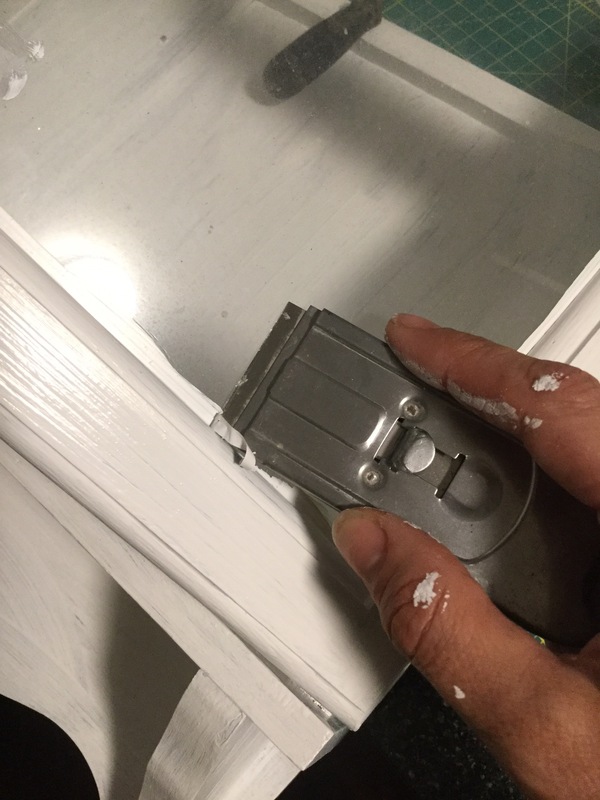 I painted around the glass, but When I am painting, I never worry about getting paint on the glass. 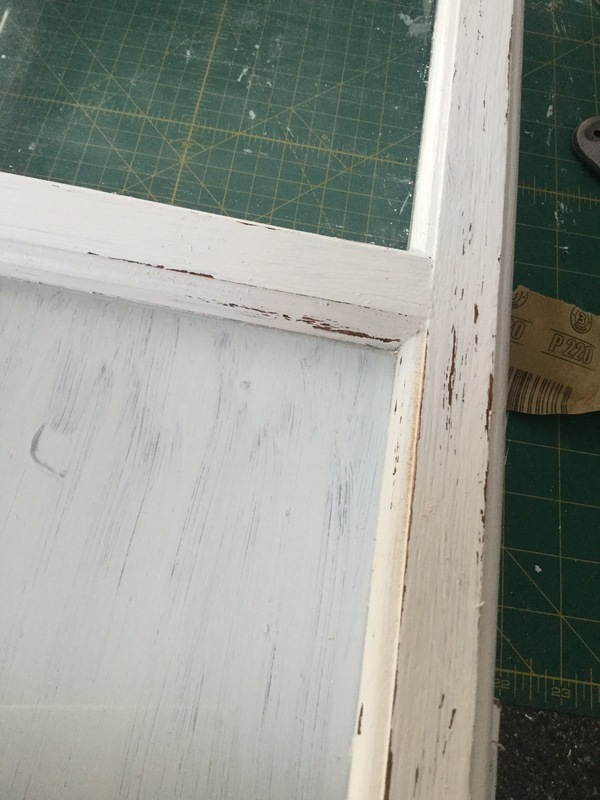 Because if you wait until the paint is dry, it will just scrape off with a razor blade. Much easier than taping! 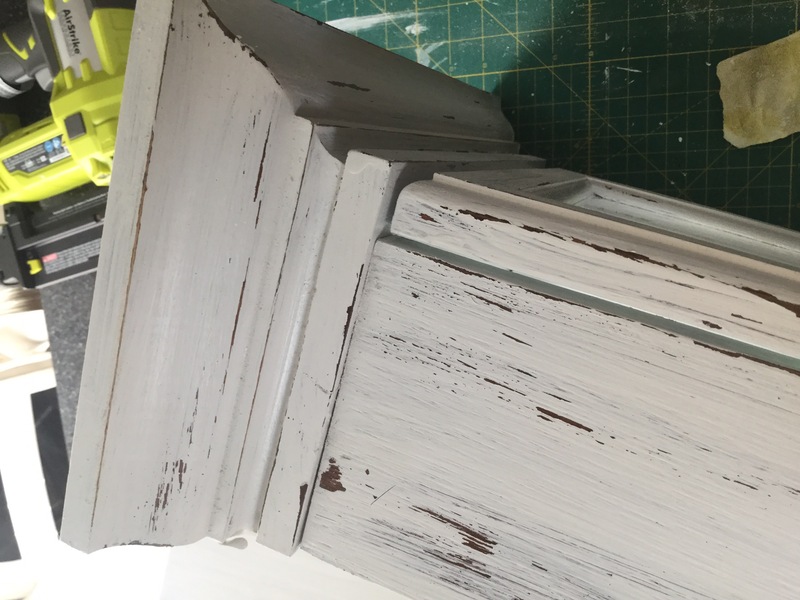 I wanted to create an antiqued look, so I used some sand paper to roughen up the corners and edges. 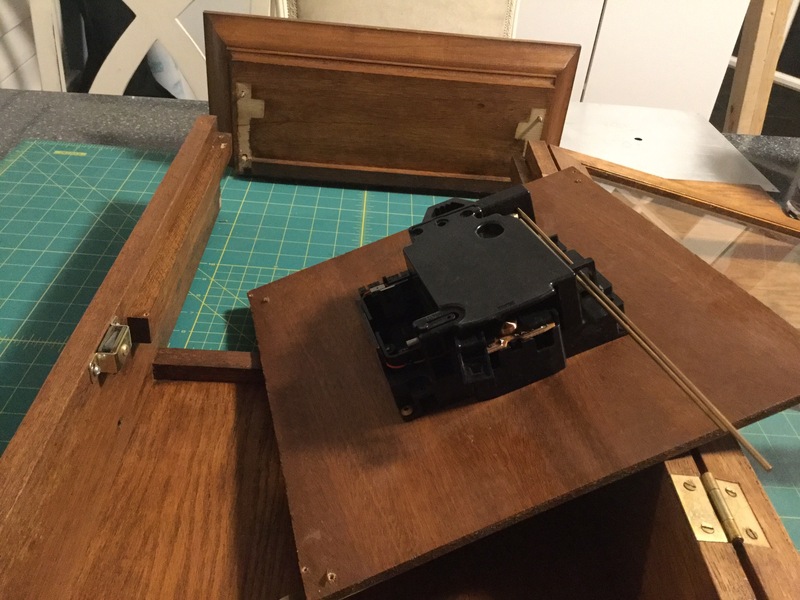 And all that was left to do was put it back together! 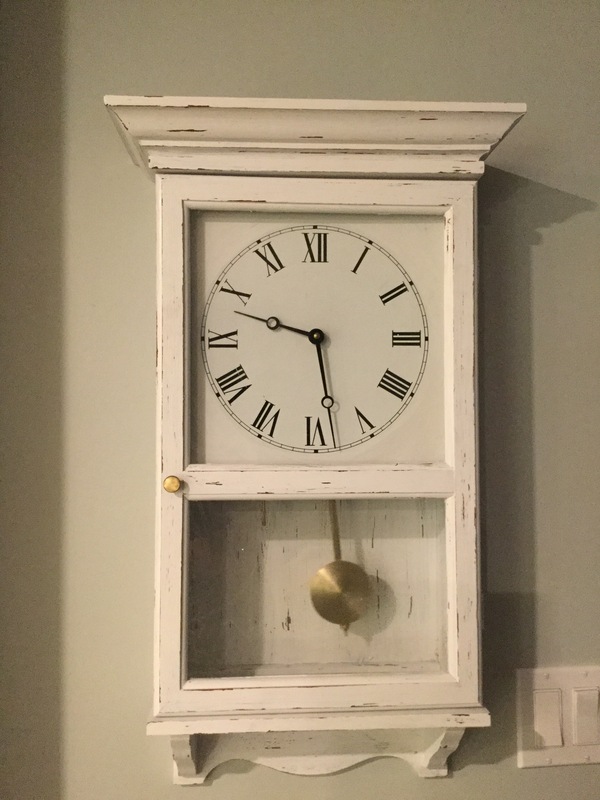 Here is what the finished clock looks like now. 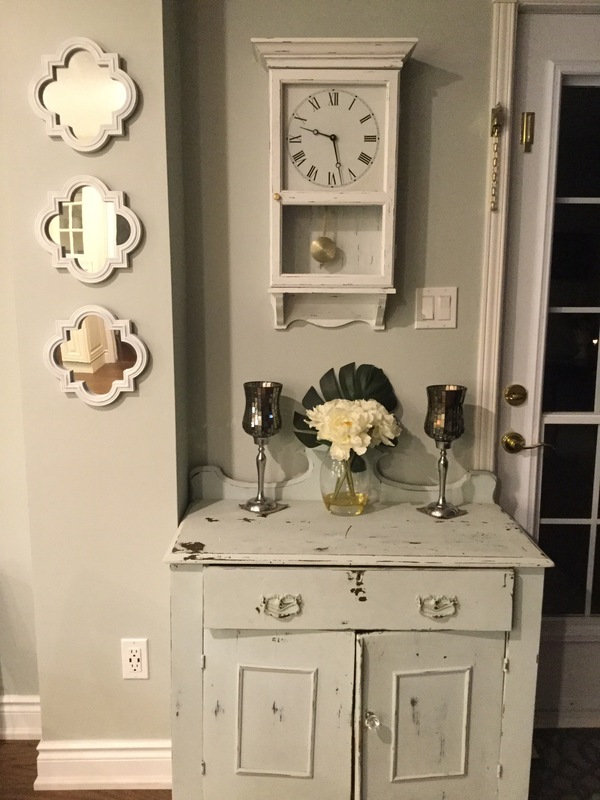 And here is where it is hanging in my house…. I don’t know if my Grampy would have loved the result as much as I do, but I am very pleased with the result. It looks great hung up now, and makes a whole lot more sense to me than being stuck in a closet somewhere. 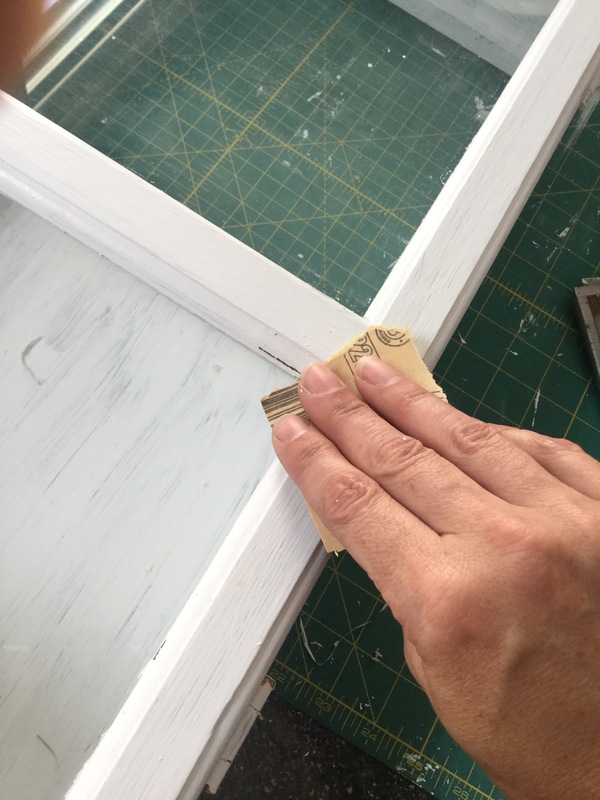 I’m looking forward to sharing some of my other summer projects! Just wait until I show you our master bathroom now!! Thanks! I’m glad it’s finally up on a wall! 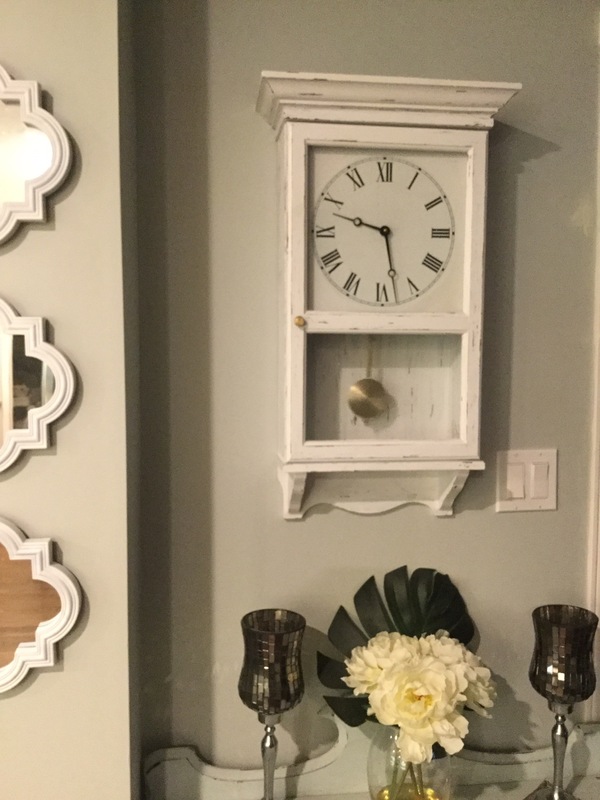 You have totally inspired me to makeover my Grampy clock! How did you get the flowers off the faceplate? It’s looks fantastic Ellen- Grampy would be thrilled that you love it ! !